Protected by the greatest artificiel bay of the world, the harbour city welcome stopover and nautical event. She supports the city of the sea, in her transatlantic ferry terminal. 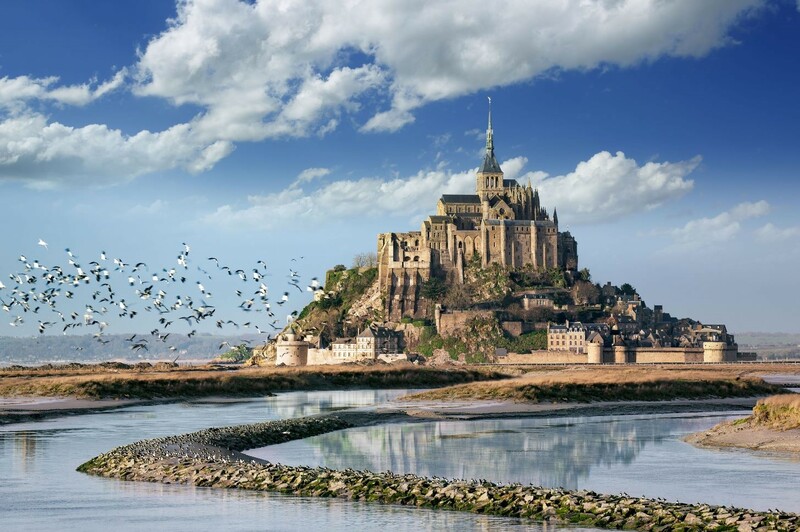 Discover the bays of Quervière or Ecalgrain, visit the lighthouse of Goury, take in the view from the top of the granite cliff of Jobourg, 128 metres above sea level… Take a walk in the dunes of Biville, or between the gorse and the heather around the megalithic stones “Pierres Pouquelées”. 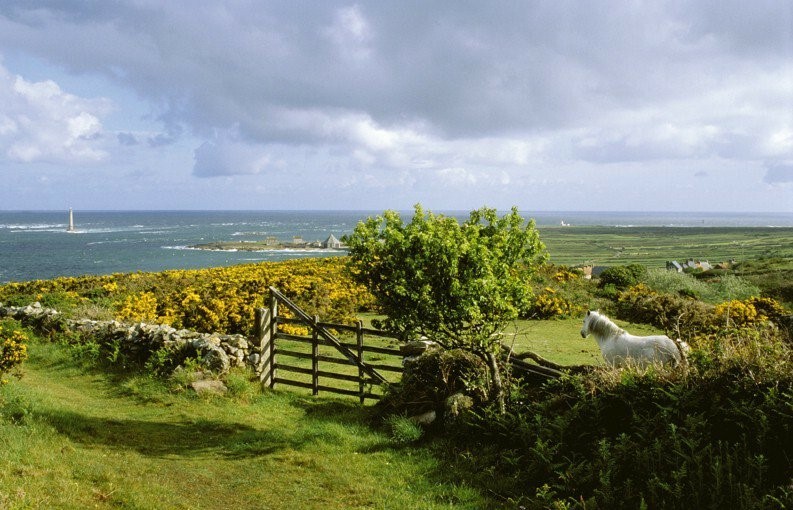 Follow a path along dry stone walls in this area also called “little Ireland”. 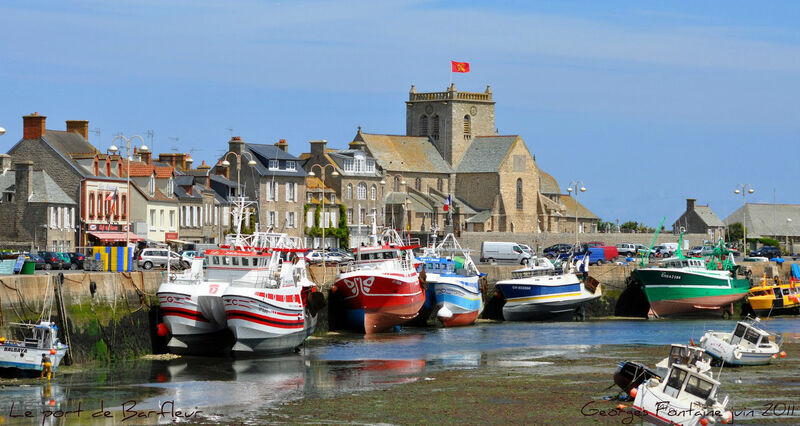 Barfleur is one of “the prettiest villages in France”. 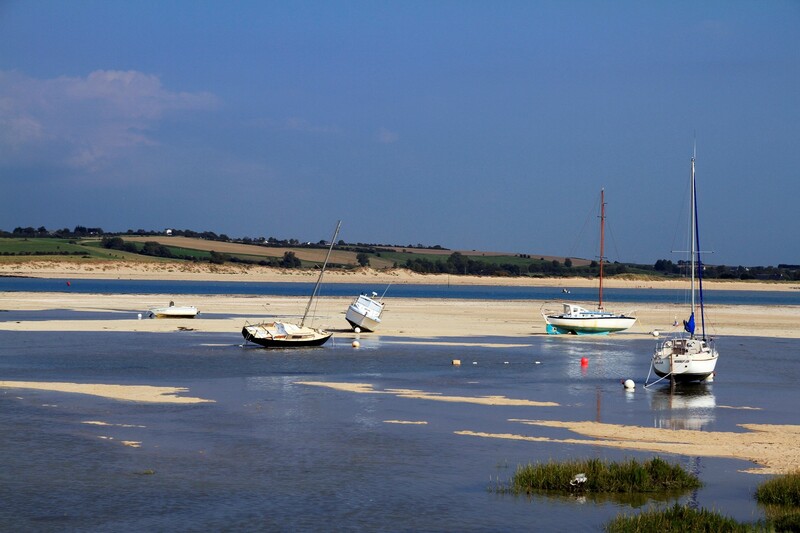 Take a walk along the quays of Barfleur, at the end of which you will reach the church and the lifeguard station on the shore. 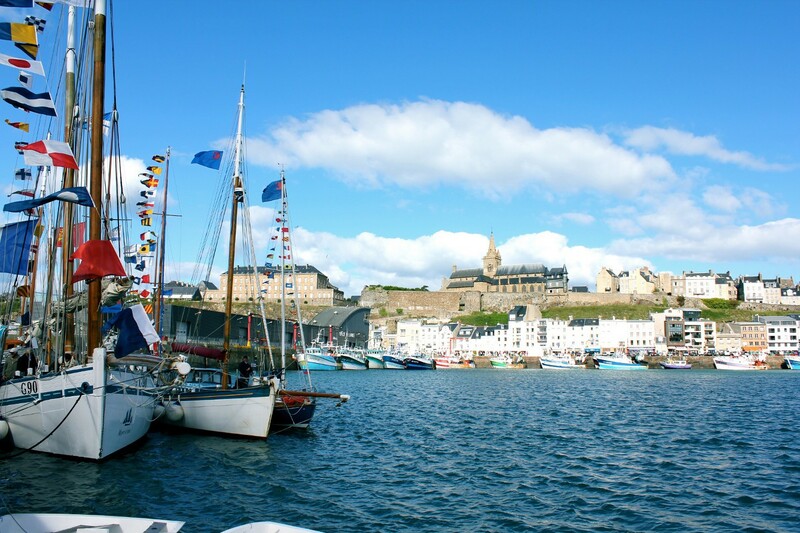 Do not miss: the medieval “cour Sainte-Catherine”, the garden of the Augustins, the house of Julie Postel, and the Sainte Marie Madeleine chapel… And of course, do not forget to sample Barfleur mussels, lobster and other local seafood! 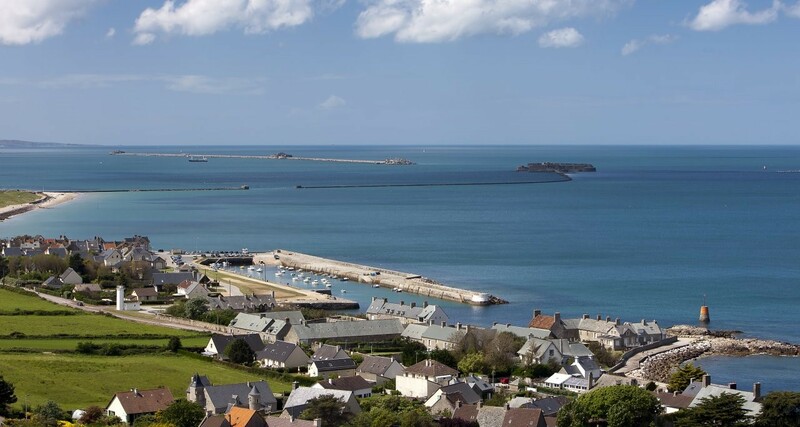 The island of Tatihou, off the harbour of Saint-Vaast-la-Hougue and at a stone’s throw from Barfleur, is home to a variety of sea birds; it also attracts visitors passionate about history and nature lovers. Discover the Maritime Museum, the gardens, and the shipyard, where traditional boats undergo restoration. The name of Tatihou originates from the Vikings: it associates the Norse word “hou” (land surrounded by water) with the first name “Tat”. 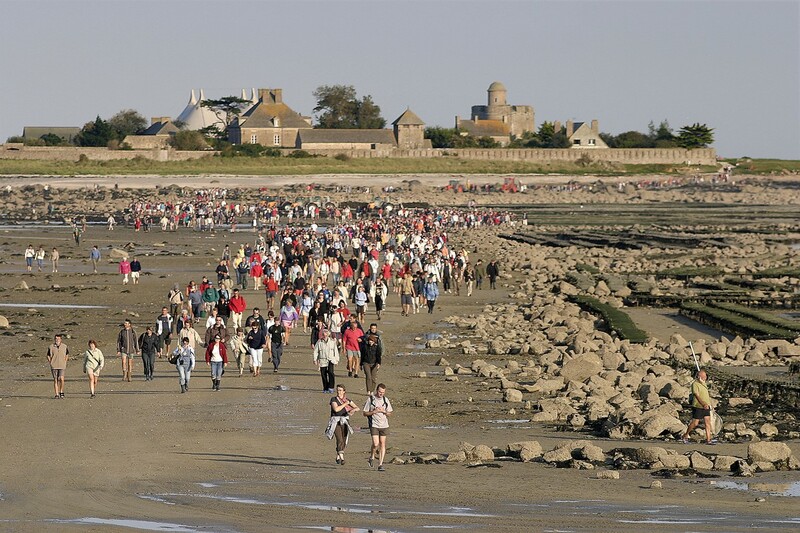 The crossing between Saint-Vaast-la-Hougue and Tatihou can be done at high tide and at low tide aboard an amphibious boat: This strange embarkation, equipped with wheels runs on the sand at low tide! 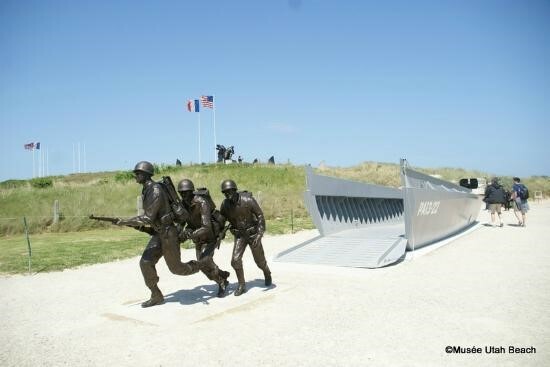 The beach at Sainte-Marie-du-Mont, which was given the codename “Utah Beach” for D-Day, stretches over 5 kilometres and was the first of two American landing sectors. 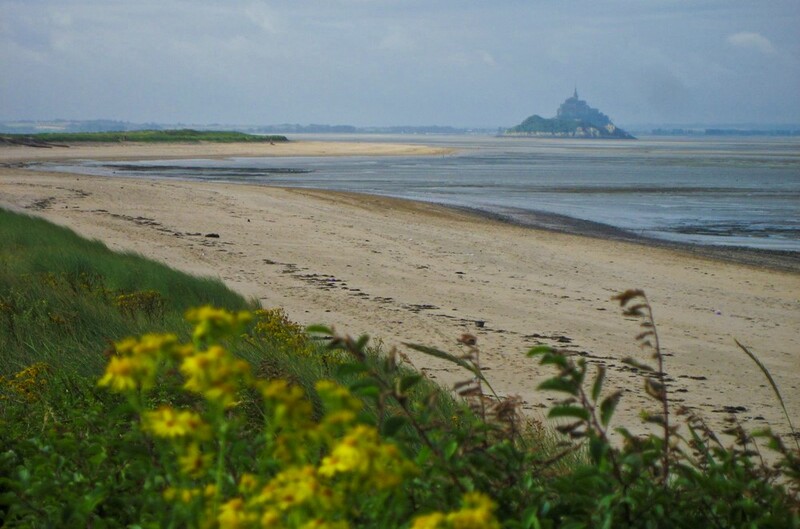 It was the English general Bernard Montgomery who decided on this beach, in order to establish a beachhead in Cotentin, and hasten the capture of Cherbourg and its deep-water port. A little further inland, was another landing zone: Sainte-Mère-Eglise, where the 82nd and 101st Airborne Divisions were dropped. Allies suffered heavy losses there but Sainte-Mère-Eglise was the first French town to be liberated by the Allies. 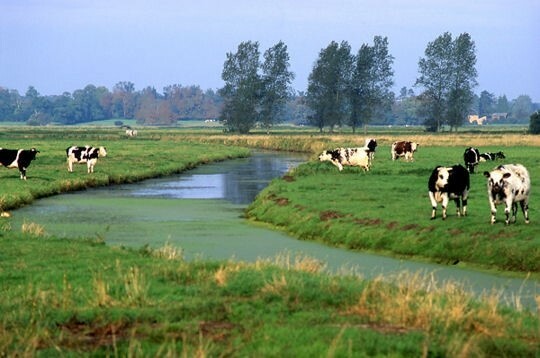 Marshes and polders fit harmoniously into a traditional boscage landscape. Meadows, grazed or mowed, are criss-crossed with ditches and dotted with peat bogs; these have been created in the wetland that stretches out to the sea, to the east and to the west. The marshlands are inhabited by characteristic flora and fauna; the landscapes here have two faces, changing with the seasons. The best way to understand this particular environment is to visit “la Maison du Parc”. Here, nearly 500 m² of themed areas enable you to go on a fun sensorial tour of the wetland (exhibition, film about the seasons, panoramic view-point, boutique, lounge…).